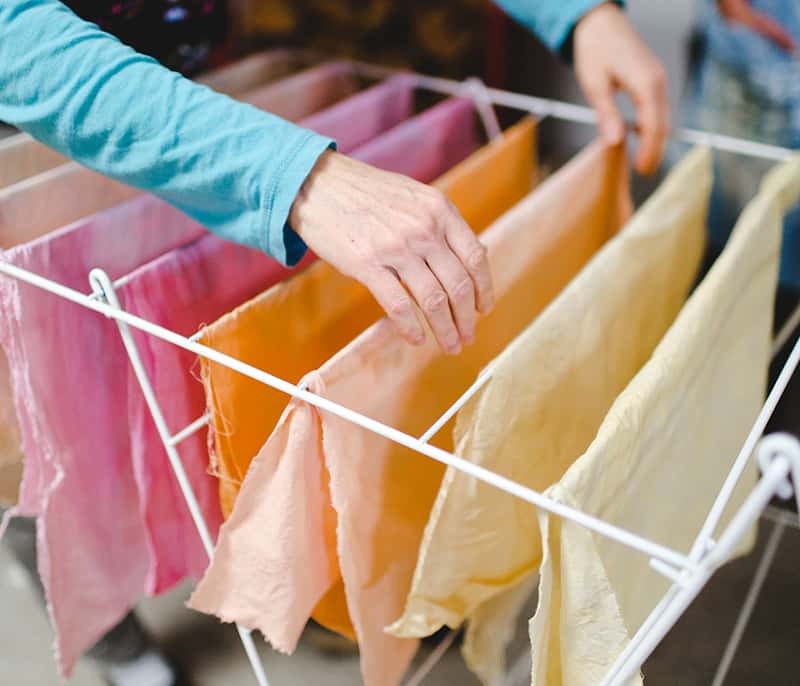 Learning the process of natural dyeing may seem like a daunting prospect, and after fielding numerous requests over the years from textile-newbies, we finally created a 1-day workshop suited for those who can’t tell marigolds from madder root! Welcome beginners! This class will introduce animal fibers, plant fibers, and the two main mordants that help plant dye “stick” to yarn & fabric. Students will experiment with everyday vegetables and herbs, locally foraged dye plants, as well as dye materials that can be purchased, to offer a range of entry-points to this process. Students will leave as experienced dyers, with a book of recipes, samples, and a finished silk & cotton piece.